What log maintenance projects can you tackle yourself and when should you call a pro? 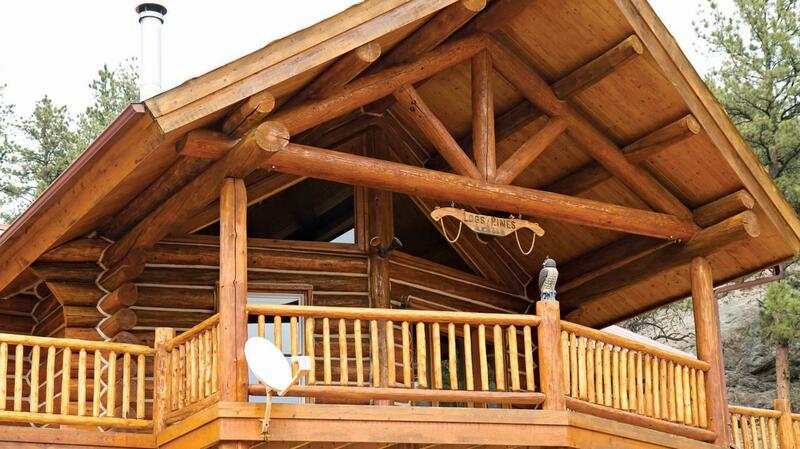 Log home stain manufacturers and restoration experts weigh in with their best advice. There’s no mystery to making sure your log home looks great and performs its best. It’s pretty simple really — take care of it. Think of it in terms of keeping your body healthy: Eating right and exercising helps avoid problems, and over-the-counter medicine lets you take care of the little issues that arise yourself. But sometimes you need to call in a doctor for the big stuff. Log home maintenance is much the same. Our three approaches to maintenance and restoration will help you protect your log home’s health. See also What is the Difference Between a Purlin Roof and a Rafter Roof? No, this isn’t to suggest a pass from basic upkeep, but you can avoid a host of potential larger issues by incorporating a few basic elements into your log home’s design at the onset. Wrap-around porches and deep overhangs keep rain from coming in direct contact with your logs. For extra protection from moisture, keep exposed log ends properly sealed. (They’re one of the most vulnerable parts of the log, according to Jim McCain, founder of Weatherall Company, a stain and sealant manufacturer.) Include gutters and downspouts to channel precipitation away from your home. If you live in snow country, build a foundation high enough so your first log course is at least 6 inches above your average accumulation. And be sure to orient your house so it’s shielded from the sun’s harmful UV rays. See also What Makes the Perfect Log Cabin Kit? To keep your log home healthy and happy, the most elementary thing you can do is also the easiest and least expensive — keep the exterior clean. “All you need is a garden hose, a sprayer and a bottle of gentle detergent, like Dawn dishwashing liquid or Simple Green,” says Tom Kuhns with Log Building Maintenance and Restoration in Milton, Pennsylvania. It only takes an hour or two, depending on the size of your home, but it’s time well spent. “Do this on an annual or semi-annual basis on a new log home, and you can prevent a lot of problems from happening, like layers of dirt from mowing the lawn or pollen buildup. This simple job extends the life of your finish and your logs,” Tom says. According to Tom, if you don’t keep your logs clean, dirt particles will not only sit on the surface of them, but become embedded in the finish, especially in the summer when the log exterior gets warm. Left unchecked, the sun can essentially bake the debris into the stain or top coat. If this happens, a simple cleaning won’t remove it. Don’t panic, though. Jim suggests a light sanding with a palm sander may do the trick. However, if you do this, you will have to reapply a top coat to seal and protect the wood. Be sure you the logs are sand-dust free, clean and completely dry before you reseal. Another thing you can tackle yourself on the cheap is mild mold/mildew removal. A periodic walk around the perimeter of your home will clue you in. Pay close attention to the logs closest to ground level and near the eaves/overhangs, especially on the north side of your home, which won’t get as much direct sun. Depending on the kind of mold it is, it can be almost black, white or bluish-green and can be patchy or textured. If you see it, deal with it immediately. You don’t want it to get underneath the stain/top coat. To test, Charis Babcock with Colorado-based Sashco recommends a Q-tip test: Dip a swab in household bleach and apply it to the site of the discoloration. If the bleach takes it off immediately, the mold is on the surface and can be removed with a simple cleaning. If it comes off, but takes 30 to 60 seconds to do so, the mold likely has penetrated the stain, which requires more work — maybe even stain removal and reapplication by a professional. Again, basic maintenance (and choosing a log finish with a midewcide additive) will help keep these kinds of issues at bay. Approach 3: Call in the Pros. Even if you’re the most diehard do-it-yourselfer, there are some jobs best left to the professionals to ensure they’re done right. Stain removal via media blasting (using high-pressure glass, corncob, soda or other materials), chinking repair or replacement, mitigating severe mold/mildew growth, enclosing holes made by pests like woodpeckers or carpenter bees or log replacement or re-facing are all tasks that a true log home restoration professional will know exactly how to deal with. Their experience is invaluable. Though it sounds simple enough, regular stain re-application (based on your stain/sealant manufacturer’s recommended schedule) also may be a job you’ll want a pro to handle. Some stains, especially ones that dry fast, can be tricky for an amateur to apply. A professional applicator will know how to prevent overlap marks, dark patches, drips and other stain missteps. Whether you’re giving your home its annual preventive wash or you see a potential problem and need to call for reinforcements, don’t procrastinate. Things aren’t going to magically take care of themselves, and the longer you let it go, the more time consuming, difficult and costly it will get.